In the final heat, the last group of seven amateur cooks try to impress the judges. 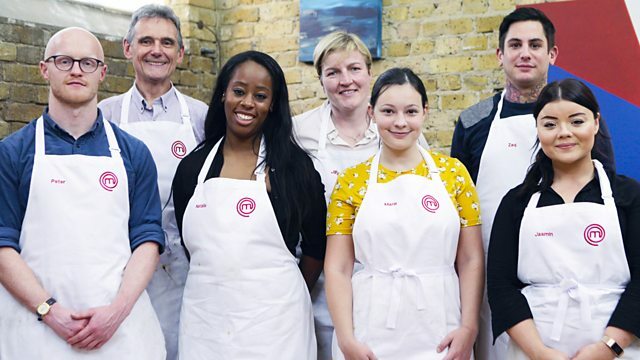 In this heat, the last group of seven amateur cooks try to prove to judges John Torode and Gregg Wallace that they have the potential to be the 2019 MasterChef Champion. Two challenge stand between them and a quarter-final place. First is the Masterchef market challenge, after which three will be eliminated. Then the remaining four must cook an impressive menu that will excite not just John and Gregg, but also some very special guests: MasterChef 2010 finalists Tim Kinnaird, Alex Rushmer and Dhruv Baker.